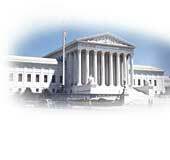 In 1952 the Supreme Court decided to hear school desegregation cases from across the country. When the trial began, everyone in the courtroom knew that the future of race relations in America hung in the balance. The attorneys for both sides believed that law and morality supported their arguments. A victory by the plaintiffs would mean that the highest court in the land officially endorsed the ideal of equal opportunity, regardless of race. Defeat would mean that the Supreme Court continued to sanction a system of legal segregation based on the notion of racial inferiority.